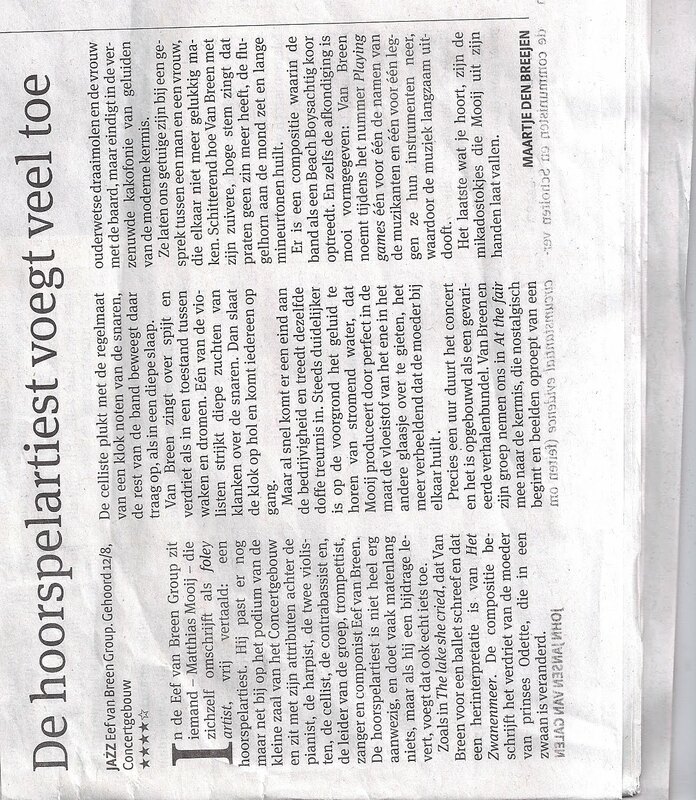 Great review in the PAROOL by Maartje den Breejen of our Group Concert in Het Concertgebouw last Friday! 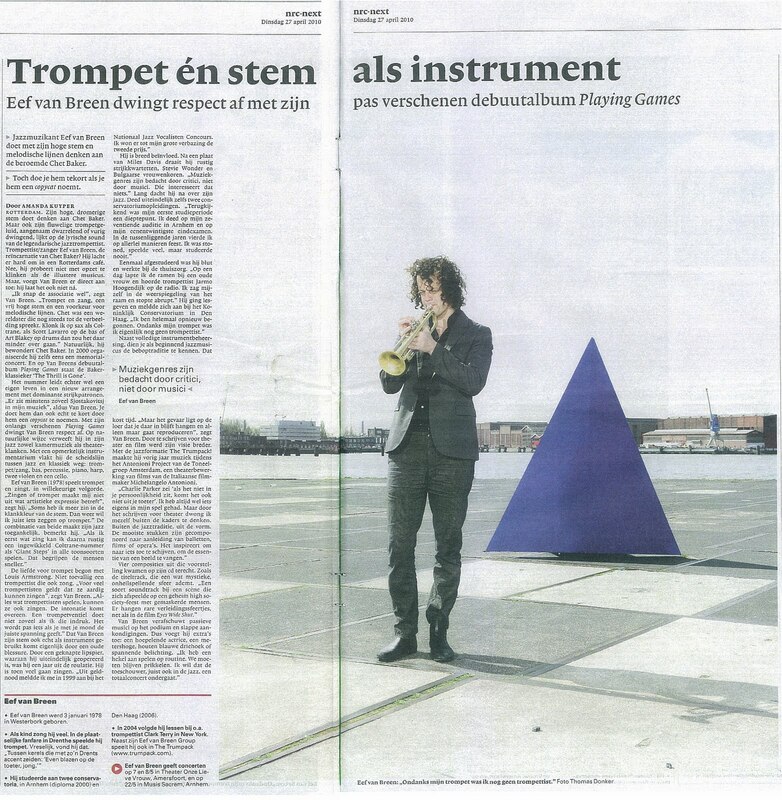 Final Playing Games concert AND preview of the NEW Changing Scenes repetoire at the Concertgebouw!! 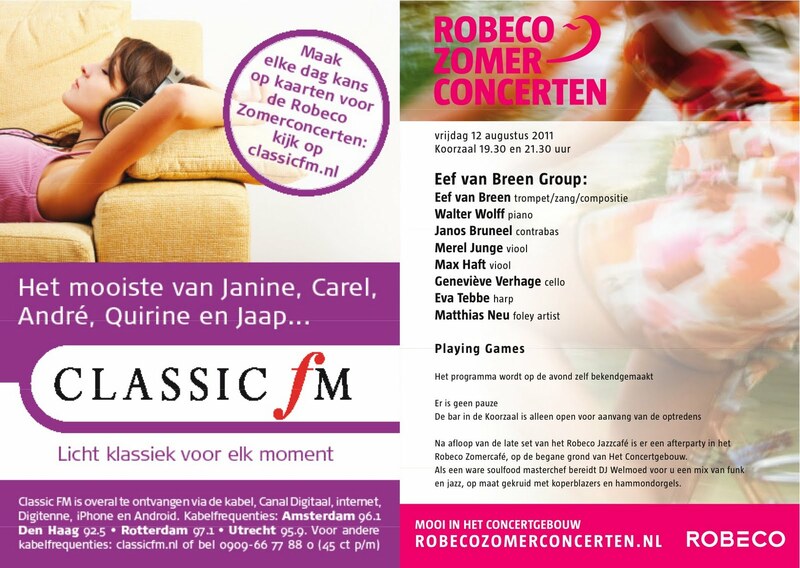 Friday the 12th of August, the Eef van Breen Group will play 2 concerts at the Concertgebouw, in the Robeco-series. 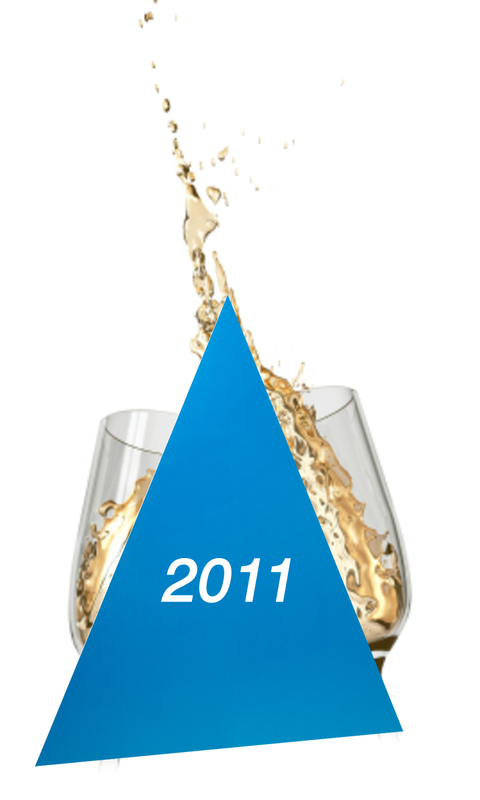 Today, the last day to vote for the Edison Jazz Award for Playing Games! 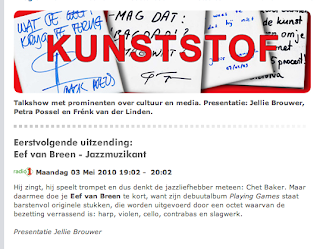 Eef van Breen #voordekunst from voordekunst on Vimeo. Playing Games nominated for the Edison Jazz Audience Award! Playing Games was nominated for the Edison Jazz Audience Award! 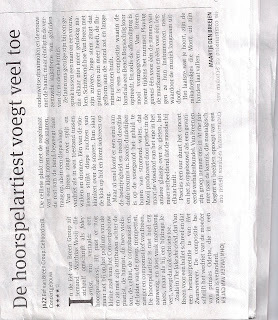 YEAHH!! Eef van Breen Group Tomorrow (Sunday 6th of feb) on Dutch Television "Nederland 1" at 10.30 AM in VPRO's "Vrije Geluiden". 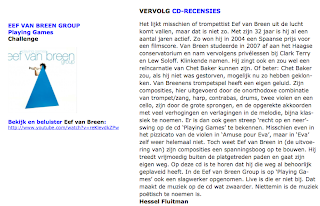 Showreel Eef van Breen Group! 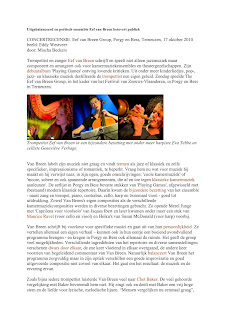 Great review by Mischa Beckers for Jazz enzo! 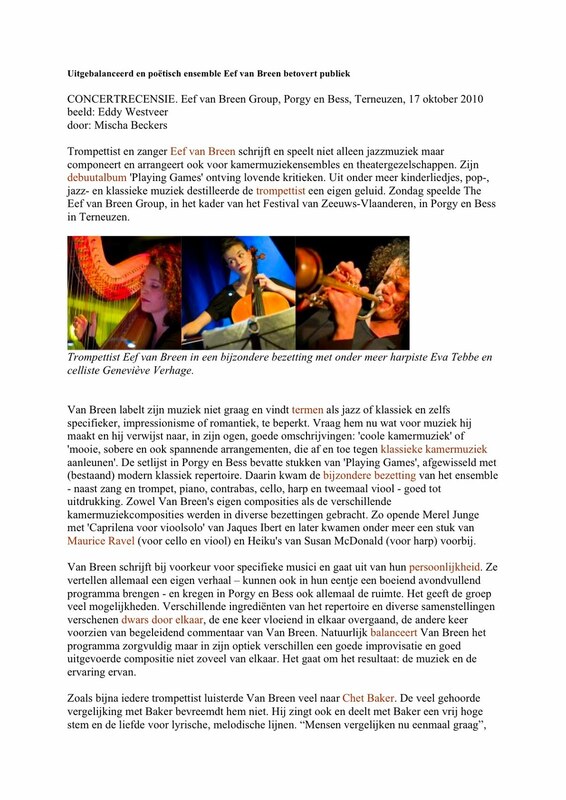 Great concert, great vibe in Porgy & Bess, Terneuzen! 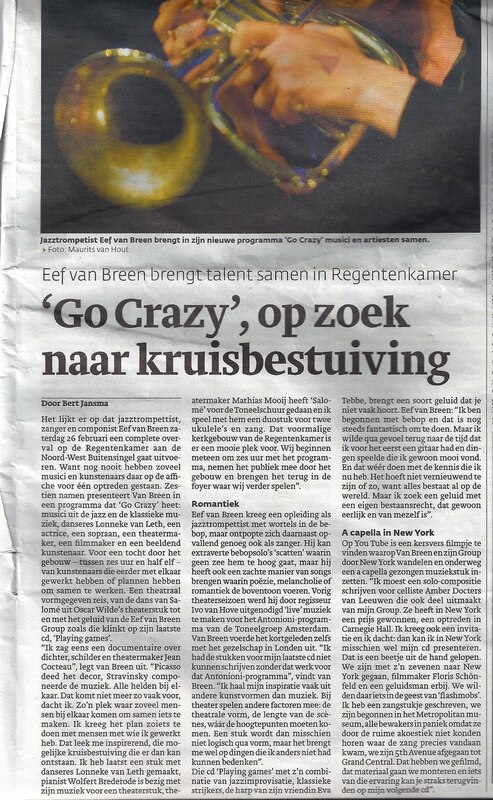 Check the photo's by Eddy Westgeer! Click here for the complete radio show inclusive Jef Neve's trio and the Frank von Chossy trio!! 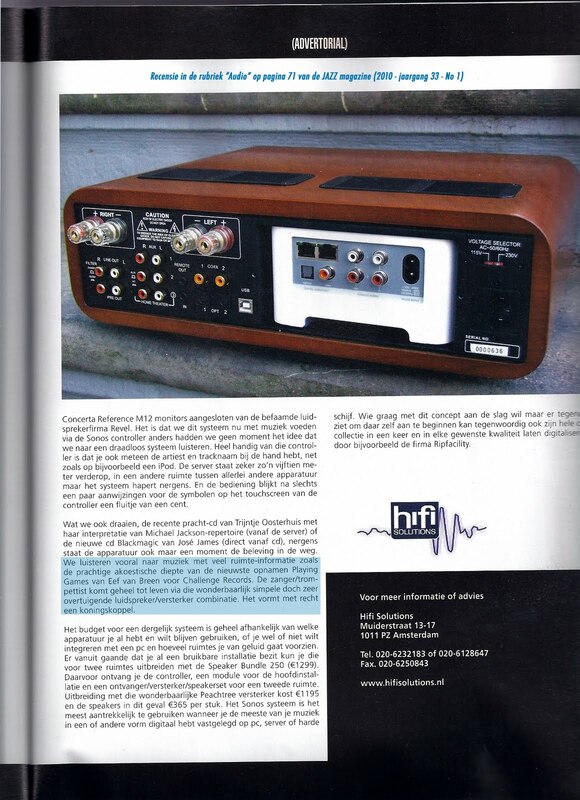 Review in LINDA the june 2010 edition.. 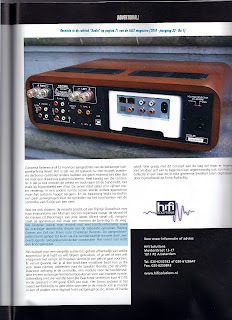 Cool review in the LINDA of june 2010! 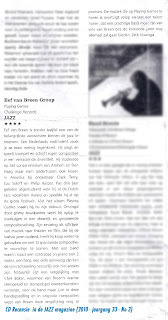 Reviews of "Playing Games" in JAZZ magazine! 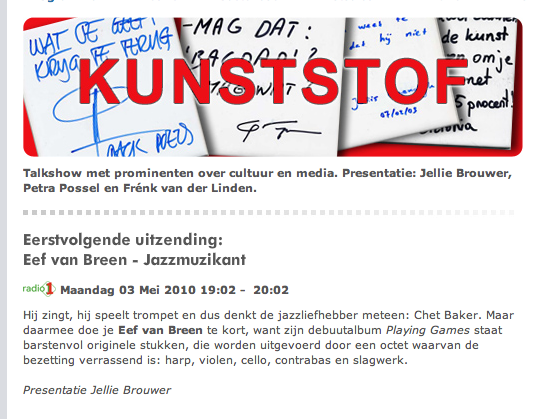 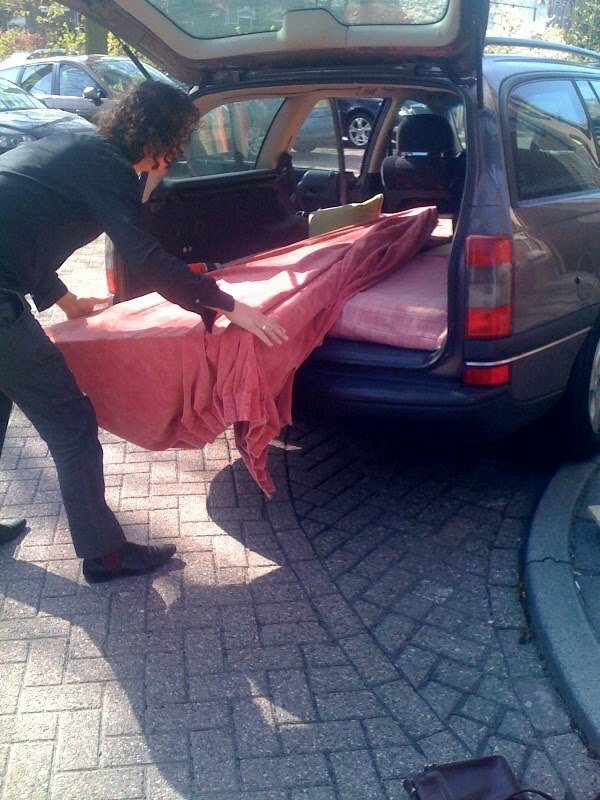 Interview RTV Arnhem may 19th to announce the final "Playing Games" concert before the summer! 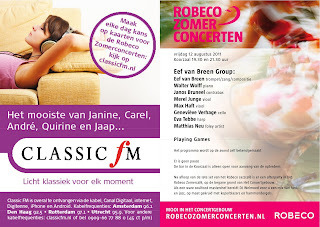 Clik HERE for more info! 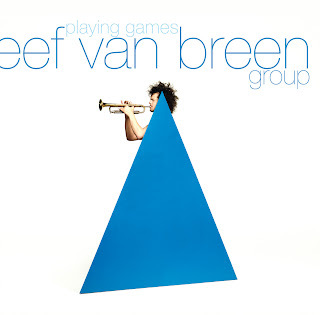 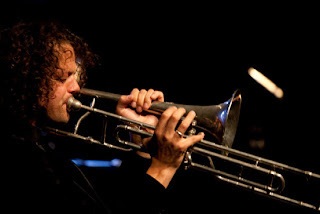 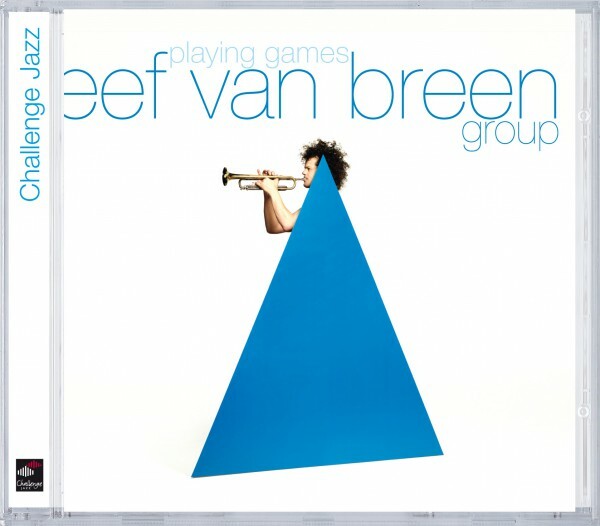 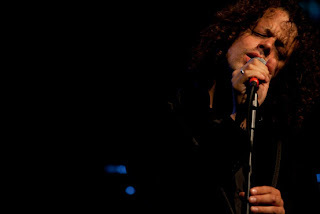 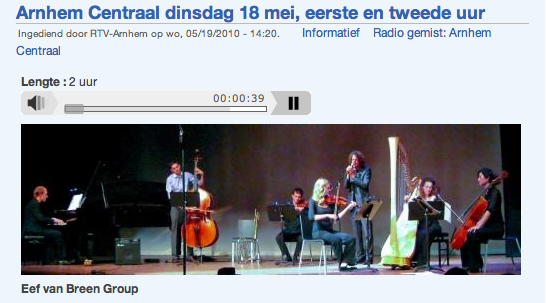 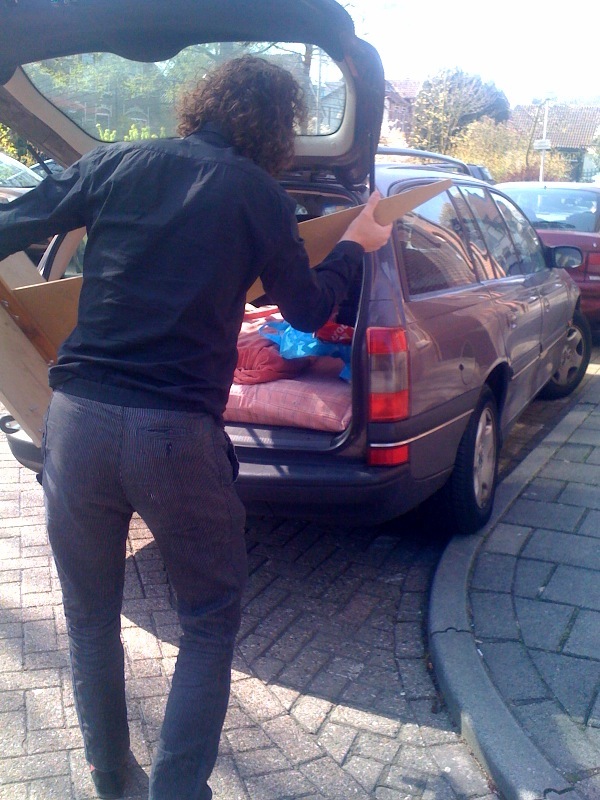 The 7th of May, Eef van Breen Group had a succesful showcase-concert during the "Jazzdag" in Amersfoort 2010. 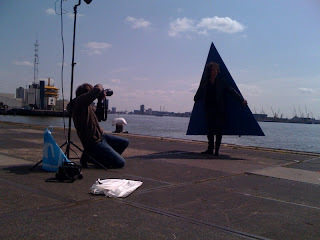 Here are the first pictures, more will follow! 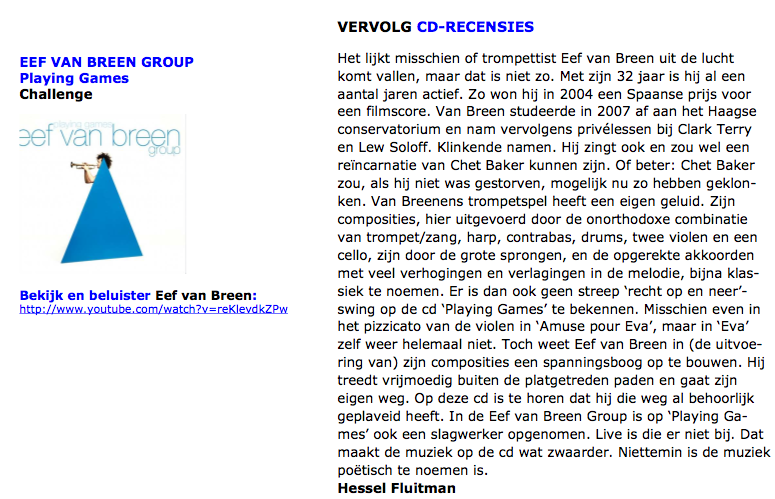 Good review in Jazz Flits by Hessel Fluitman..
Another nice review in Jazzflits! 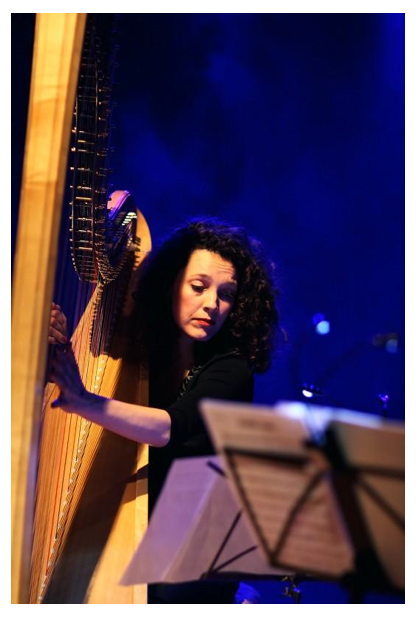 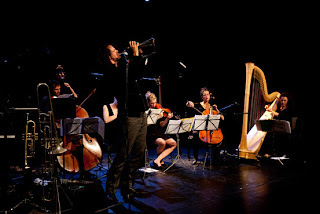 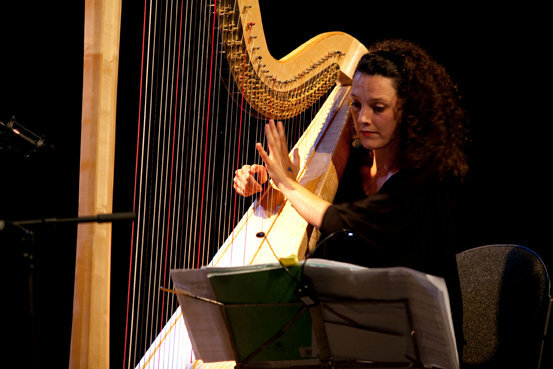 Very nice interview + concert "kunststof Radio" from the NPS Radio 1 by Jelly Brouwer! Click HERE to listen to this funny interview, and the (especially for this occasion arranged) smaal group version of We're through, No Time and 2 CV by Brice, Eva and Eef! 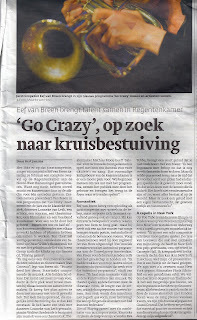 Check out this incradiable article by Amanda Kuyper for the NRC the 27th of April 2010! 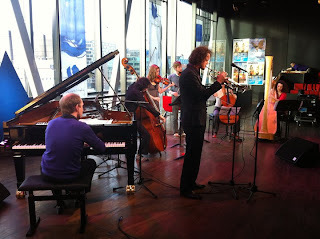 DvD recording in the Beauforthuis 26th of April! 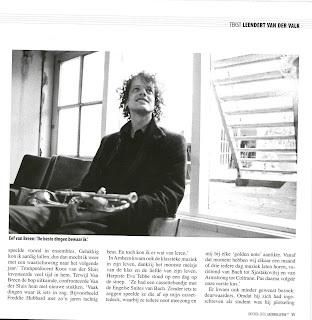 Good review in the Volkskrant 22nd of April 2010!! Another good review! 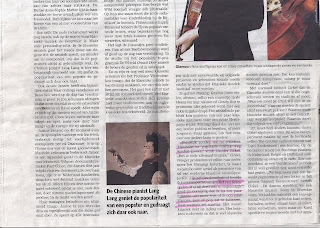 This time in the "Volkskrant" by Tim Sprangers. Monday the 19th of April; A photoshoot on one of the coolest places in Rotterdam! 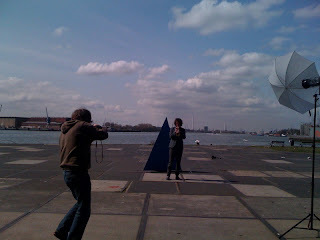 Then an interview with Amanda Kuiper for the NRC-next. 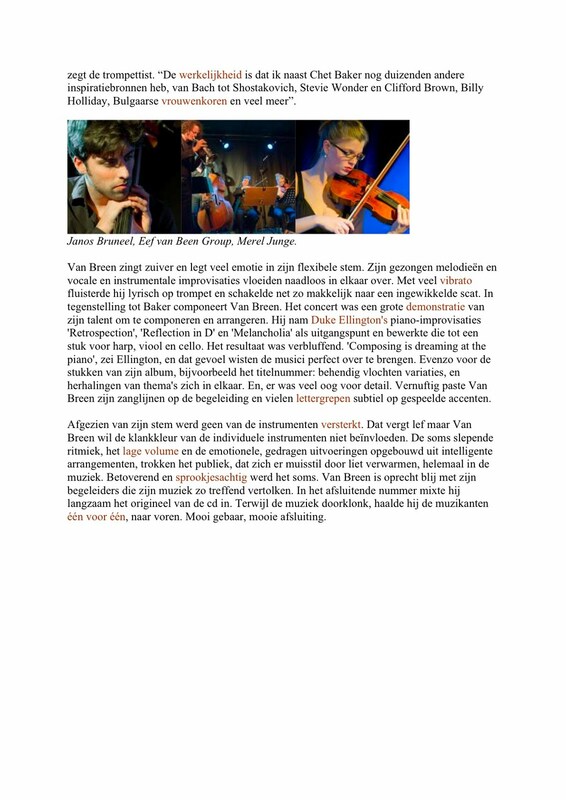 Coming tuesday the 27th of April it will be published.. The 15th of April Eef van Breen Group played in Eindhoven! Succesfull CD presentation in "Bethanienklooster" Amsterdam! 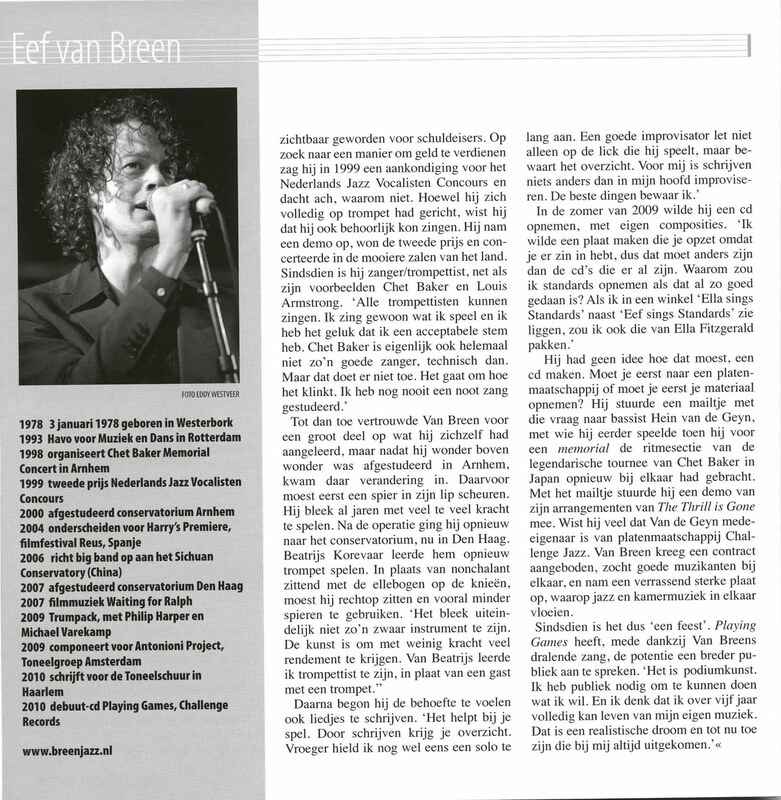 Friday the ninth of April, the Eef van Breen Group had a succesfull cd presentation!